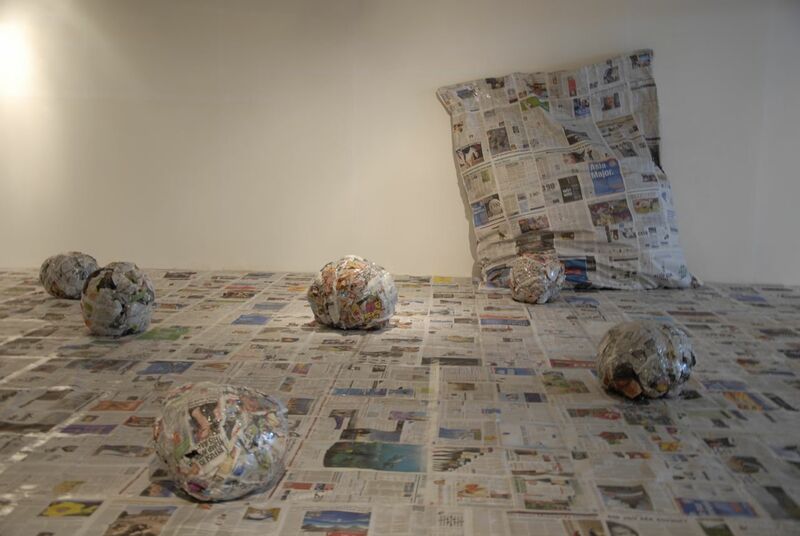 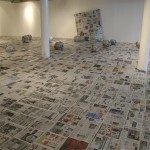 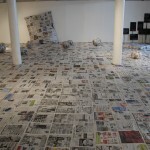 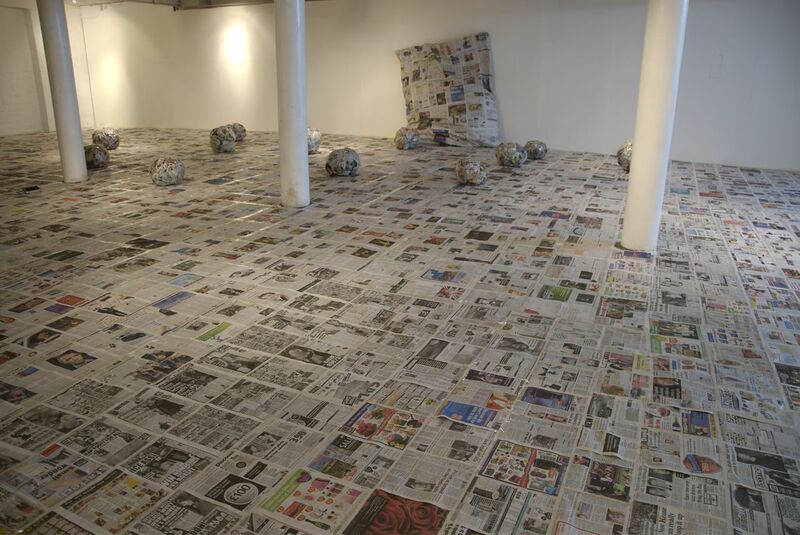 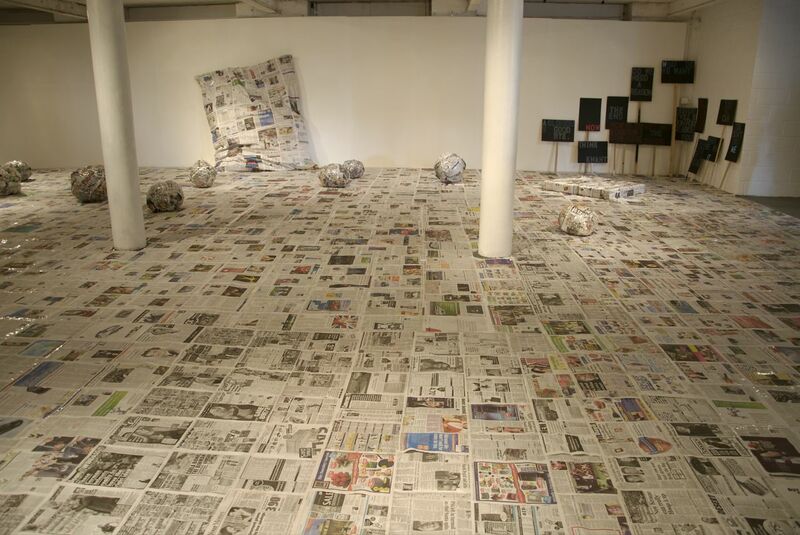 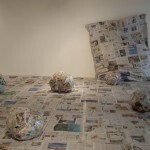 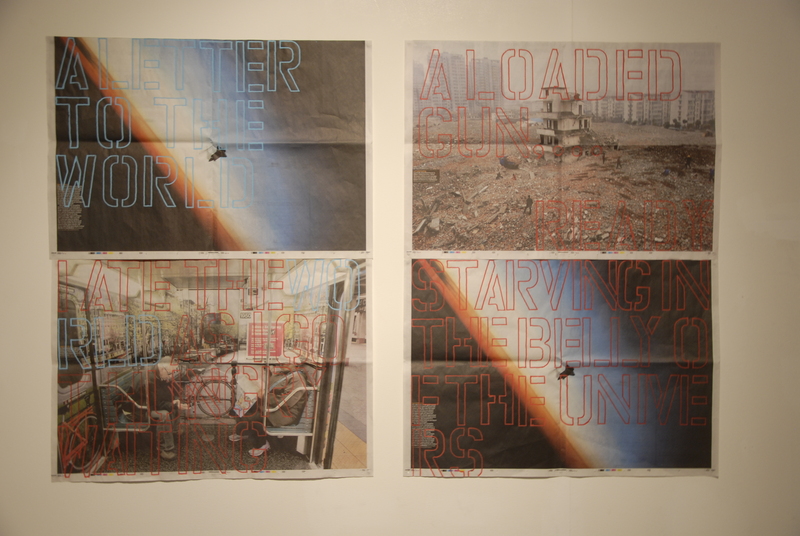 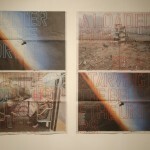 Ehmann’s site-specific newsprint installation covers the gallery floor. 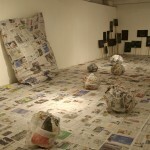 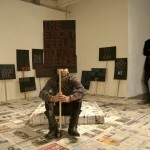 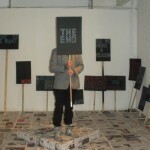 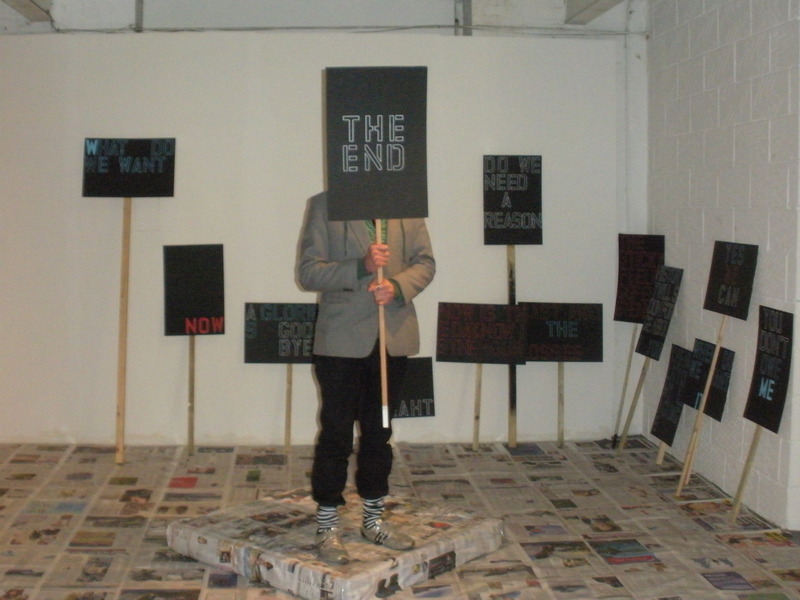 Together with the artist’s performative engagement with the piece a sculptural text environment is formed questioning the production of opinion and value in cultural and media spheres. 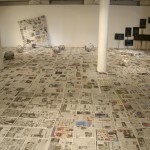 Ehmann engages with this proposition by creating subversive inter-linkings between his own body as an artist and a subject of the very same sculptural text environment. 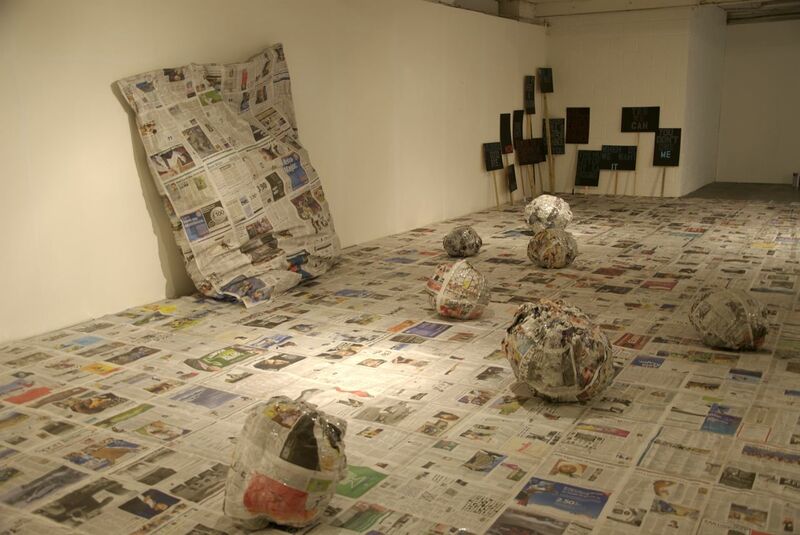 While addressing different areas of concern, the work of Ehmann references ideas of private versus public systems of asserting a sense of territory and identity and of the intense and at times fraught dialogue and interaction between the two. 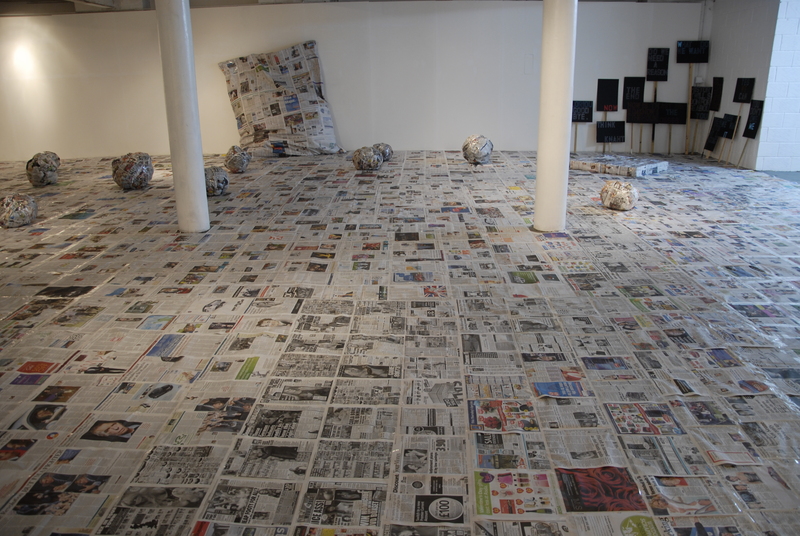 The material’s nature is akin to theatre props propelling the viewer into the psycho-active/re-active environment of the gallery space.